BRUSSELS (AFP) – (AFP) – Rival Dutch- and French-speaking communities in Belgium are at each others’ throats again — this time over the loan of two giant pandas by China to the linguistically divided nation. “The pandas of discord,” screamed the daily Le Soir on Wednesday. “Pandas, a question of national interest,” said La Libre Belgique as the country worried over the long-negotiated and now contentious deal. The problem is that the rare bears, a reliable draw for visitors, are to be housed in a zoo in French-speaking southern Wallonia, not far from the city of Mons whose last mayor is none other than Prime Minister Elio Di Rupo. And Belgium’s oldest and most well-known zoo, located in the heart of the port city of Antwerp in northern Flanders, is indignant to have lost out to the Pairi Daiza animal park set up a couple of decades ago. “We should have been able to count on the support of the prime minister,” said Ilse Segers, spokeswoman for the Antwerp Zoo set up in 1843. The Antwerp Zoo’s indignation turned highly political after a member of the powerful Flemish separatist N-VA party, Zuhal Demir, accused Di Rupo of favouritism to get the animals into the rival park on his side of the language divide. The bow-tied French-speaking leader of federal Belgium — made up of Dutch-, French- and German-language regions — was promised the pandas Wednesday by Premier Li Keqiang while on a visit to China. “The arrival of these two pandas is an honour for Belgium and underlines the trust between our two nations,” Di Rupo told the Belga news agency. Also in China but on a separate tour, the premier of Flanders Kris Peeters said he would contact Di Rupo and ask for an explanation. But as shares in the privately-owned southern Pairi Daizi animal park climbed several points, the prime minister’s office brushed aside the criticism. It said that Antwerp Zoo, unlike its rival, had failed to file an offer to house the pandas, which will be on loan for 15 years. Newspapers pointed out that the Antwerp Zoo, which sits in the centre of the city just by its main railway station, likely had less room on offer for the giant bears. Pairi Daiza said it had already begun work on “building an ultra-modern installation in its Chinese garden that has perfectly integrated a Sichuan country setting”. China, which, as usual with its loaned pandas, will send a special team to look after the two four-year-old bears, demands that zoos observe a series of highly demanding conditions. A French zoo loaned a couple in 2012 invested five million euros to install air conditioning and other features demanded by the Chinese authorities. 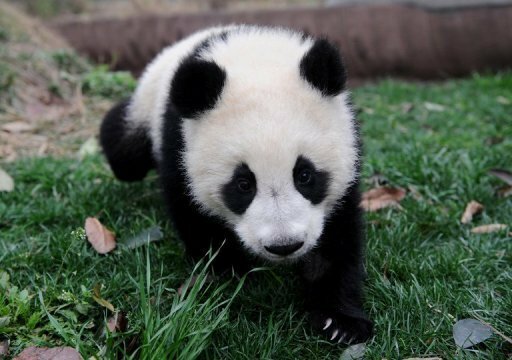 Only 16 zoos currently have giant pandas.